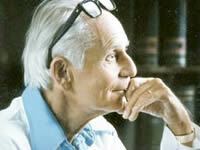 Dr. Hans Selye (1907-1982) is one of the great pioneers of modern medicine and was the first to conceptualize “stress”. The following is an excerpt from http://www.icnr.com/articles/thenatureofstress.html. I am posting this here because it is part of the discussion “how to be happy”. In the light of what my own laboratory and clinical study of somatic diseases has taught me concerning stress, I have tried to arrive at a code of ethics based not on the strictures and traditions of society, inspiration, or blind faith in the infallibility of a particular prophet, religious leader or political doctrine, but on the scientifically verifiable laws that govern the body’s reactions in maintaining homeostasis and living in satisfying equilibrium with its environment. By means of such a code, we can adjust our personal reactions to enjoy fully the eustress of success and accomplishment without suffering the distress commonly generated by frustrating friction and purposeless, aggressive behavior against our surroundings. It is a biologic fact that man – like the lower animals – must fight and work for some goal that he considers worthwhile. We must use our innate capacities to enjoy the eustress of fulfillment. Only through effort, often aggressive, egoistic effort, can we maintain our fitness and assure our homeostatic equilibrium with both the social and the inanimate world. To achieve this state, our activities must earn lasting results; the fruits of work must be cumulative and must provide a capital gain to meet future needs. To succeed, we have to accept the scientifically established fact that man has an inescapable natural urge to work egoistically for things that can be stored to strengthen his homeostasis in the unpredictable situations with which life may confront him. We should not combat or be ashamed of these instincts. We can do nothing about having been built to work, and it is primarily for our own good. Organs that are not used (muscles, bones, even the brain) undergo inactivity atrophy, and every living being looks out first of all for itself. Neither should we feel guilty because we work for treasures that can be stored to ensure our future homeostasis. Hoarding is a vitally important biologic instinct that we share with animals such as ants, bees, squirrels and beavers. In man, the urge first manifests itself when children start to gather match boxes, shells or stickers; it continues when adults collect stamps or coins. Such a universal drive cannot be an artificial, indoctrinated tradition. On the other hand, there is no example in Nature of a creature guided exclusively by altruism and the desire to protect others. In fact, a code of universal altruism would be highly immoral, since it would expect others to look out for us more than themselves. Of course, “Love thy neighbor as thyself” is a command full of wisdom; but, as originally expressed, it is incompatible with biologic laws; no one needs to develop an inferiority complex if he cannot love all his fellow men on command. Find you own stress level – the speed at which you can run toward your own goal. Make sure that both the stress level and the goal are really your own, an not imposed upon you by society, for only you yourself can know what you want and how fast you can accomplish it. There is no point in forcing a turtle to run like a racehorse or in preventing a racehorse from running faster than a turtle because of some “moral obligation.” The same is true of people. Be an altruistic egoist. Do not try to supress the natural instinct of all living beings to look after themselves first. Yet the wish to be of some use, to do some good to others, is also natural. We are social beings, and everybody wants somehow to earn respect and gratitude. You must be useful to others. This gives you the greatest degree of safety, because no one wishes to destroy a person who is useful. Earn thy neighbor’s love. This is a contemporary modification of the maxim “Love thy neighbor as thyself.” It recognizes that not all neighbors are lovable and that it is impossible to love on command. But do not put up resistance in vain. So far as possible, I myself have followed this philosophy, and it has made my life a happy one. Frankly, in looking back, I realize that I have not always succeeded to perfection, but this has been due to my own shortcomings, not those of the philosophy. As I have often said. The builder of the best racing car is not necessarily its best driver. This entry was posted in Inspiration Zone and tagged accomplishment, aggressive behavior, blind faith, capital gain, code of ethics, equilibrium, eustress, hans selye, innate capacities, instincts, maintaining homeostasis, modern medicine, personal reactions, political doctrine, religious leader, unpredictable situations on December 11, 2009 by Sebastien Gendry.